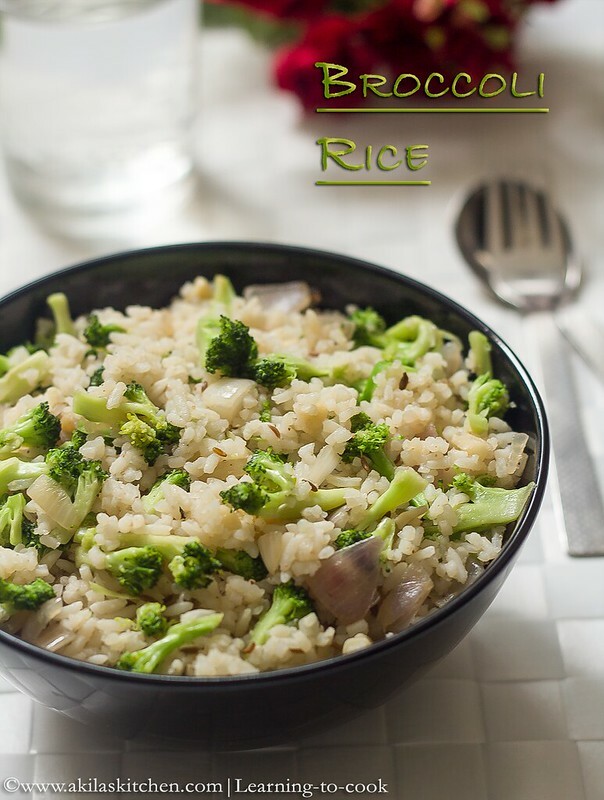 Broccoli rice Indian style is very very different from the actual broccoli rice which is prepared fully by the minced broccoli. 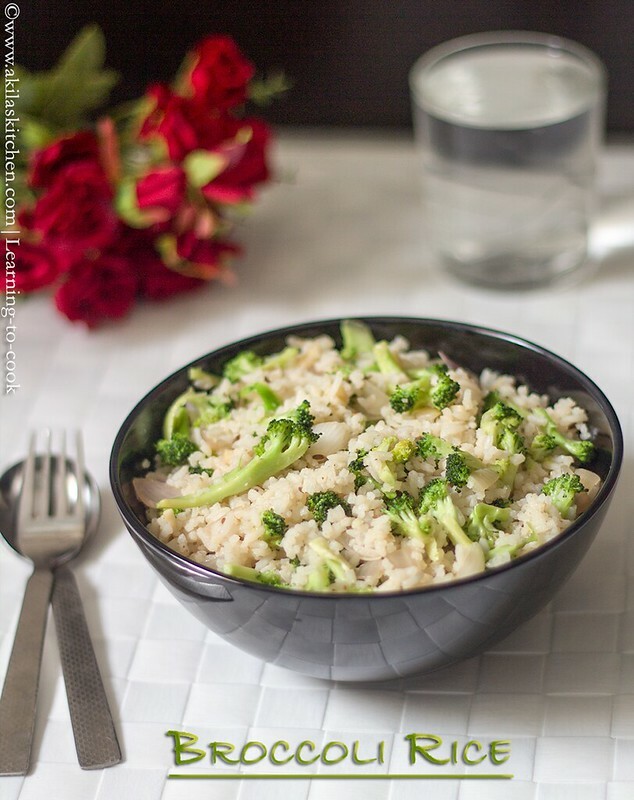 The Indian style broccoli rice is mixed with cooked rice and mostly given as a healthy lunch box recipe. 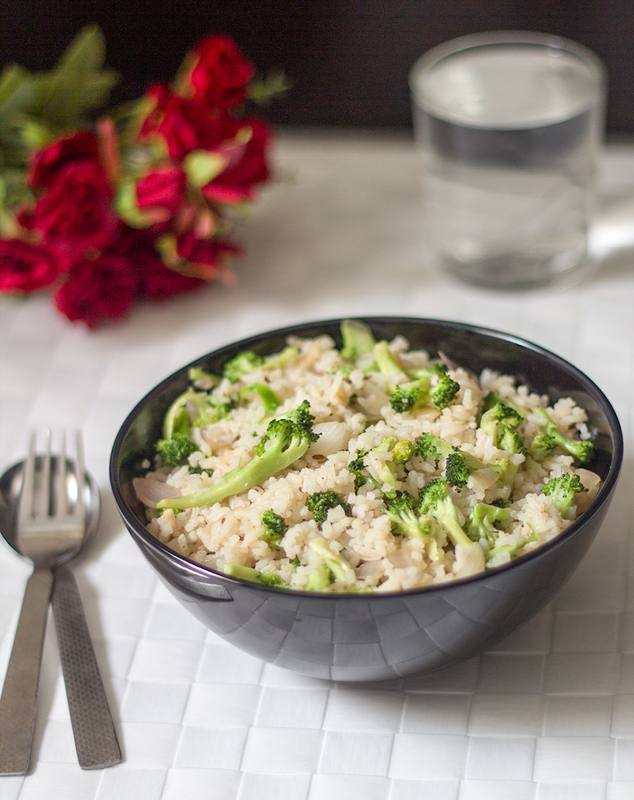 This Broccoli rice in Indian style is a recipe which I prepared recently. 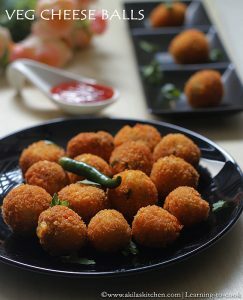 I was planning to prepare this long time before, but some how kept postponing it. I usually prepare broccoli soup most of the times as it’s our family favorite. Last I prepared and When I tasted, I felt I could have reduced the pepper, as it is bit spicy and also, should have chopped broccoli into more finer pieces. There are many variations in preparing this broccoli rice indian style by mixing it with biryani masala, or just tempering it with mustard and curry leaves, etc. The way which I have prepared is much more simpler version. We will also see different variations of this in the coming days. 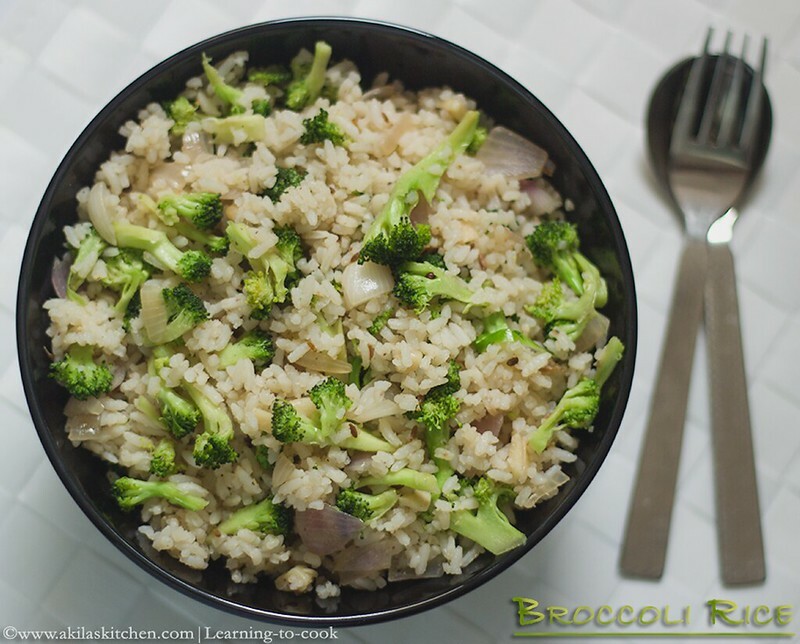 Let’s see how to prepare this one pot meal – broccoli rice. 1. Wash the broccoli and cut into small pieces. Again wash one more time. In a pan add oil and when hot, add mustard seeds. When it splutters add the Urud dal and cumin seeds. 2. When slightly brown, add the onions and garlic and ginger. Sauté them well. Add the broccoli, green chili and salt. Sprinkle some water. 3. After 3 min, sprinkle some more water, so that broccoli gets cooked, but take care that broccoli should not loose its crunchiness. Add rice and mix them together. 4. Add the ghee and required pepper and mix well. 5. Yummy, healthy and tasty broccoli rice is ready. 1. I added both green chilli and pepper and I felt bit more spicy. So you can use either one or reduce pepper level. 2. Chop the broccoli very finely. 3. Sprinkle little water. If more water is added, broccoli becomes cooked well and becomes soft. 4. Adding ghee is optional, but it enhances the flavor. 5. You can use vegetable oil also. Wash the broccoli and cut into small pieces. Again wash one more time. In a pan add oil and when hot, add mustard seeds. When it splutters add the Urud dal and cumin seeds. When slightly brown, add the onions and garlic and ginger. Sauté them well. Add the broccoli, green chili and salt. Sprinkle some water. After 3 min, sprinkle some more water, so that broccoli gets cooked, but take care that broccoli should not loose its crunchiness. Add rice and mix them together. Add the ghee and required pepper and mix well. Yummy, healthy and tasty broccoli rice is ready. I added both green chilli and pepper and I felt bit more spicy. So you can use either one or reduce pepper level. *Post first published on April 4th 2014. Updated with recipe. Wonderful way to sneak this healthy rice, fantastic one pot meal. I made a little change I added along small pieces of yellow bell pepper. It looked more colorful. Very colorful,healthy and flavorful rice ! 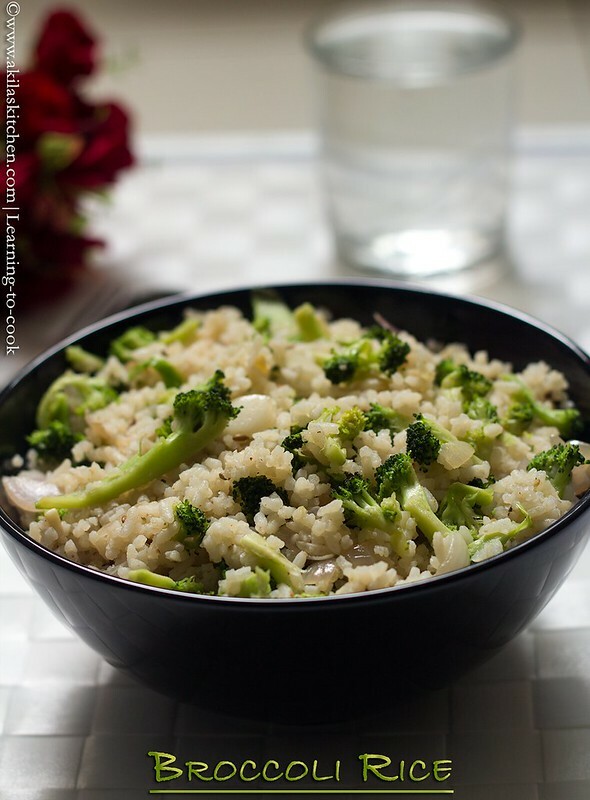 Healthy yummy broccoli rice. So flavourful variety rice. What a healthy and flavorful rice!! so tasty and healthy rice.. 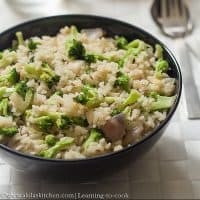 I love anything with broccoli .But was not satisfed with my broccoli soup .Have to try this rice next time .Def a time saver.